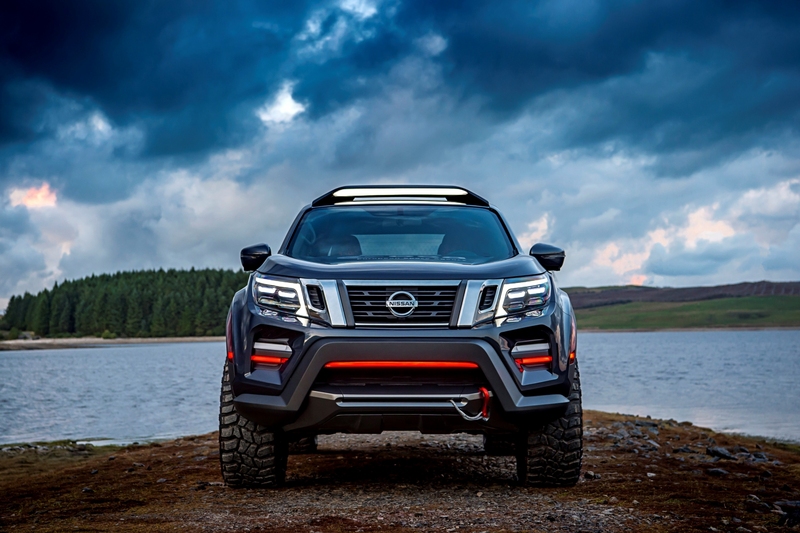 Topline: Nissan showcased yet another variant of its mid-size pickup truck called the Navara Dark Sky Concept at the 2018 Hannover Motor Show. 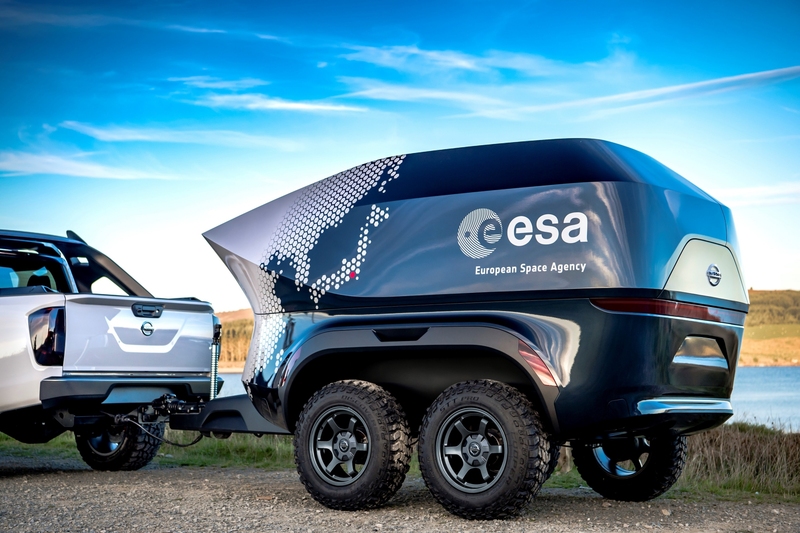 The concept was developed in collaboration with the European Space Agency (ESA) and functions as a mobile astronomy lab, thanks to an observatory-class telescope set on its custom off-road trailer. What You Need to Know: The ESA has already mapped more than a billion stars using the Gaia satellite. 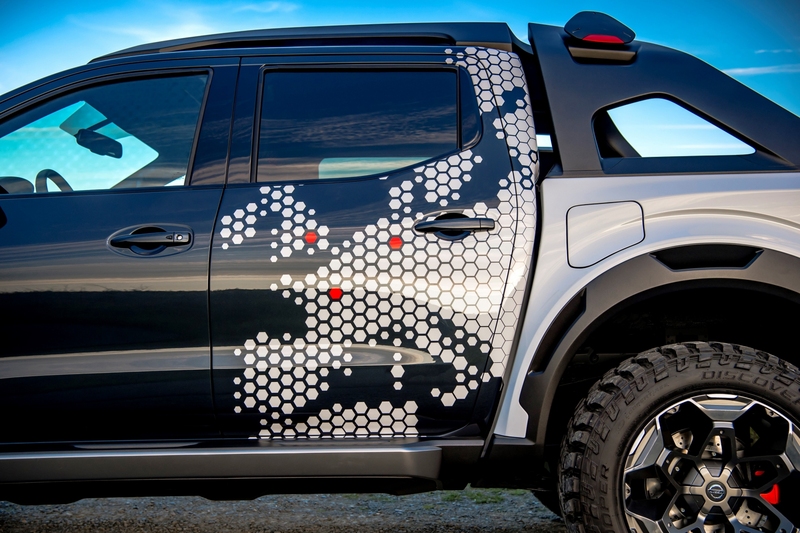 The Nissan Navara Dark Sky Concept is aimed to support this project by helping astronomers carry out follow-up observations of the universe from remote “dark sky” locations away from urban areas. 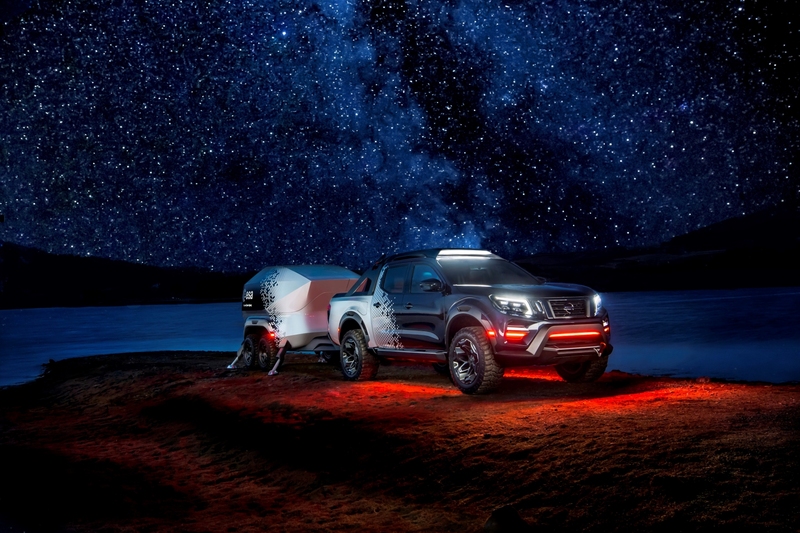 The design aesthetics of the Nissan Navara Dark Sky Concept are inspired by the cosmos. 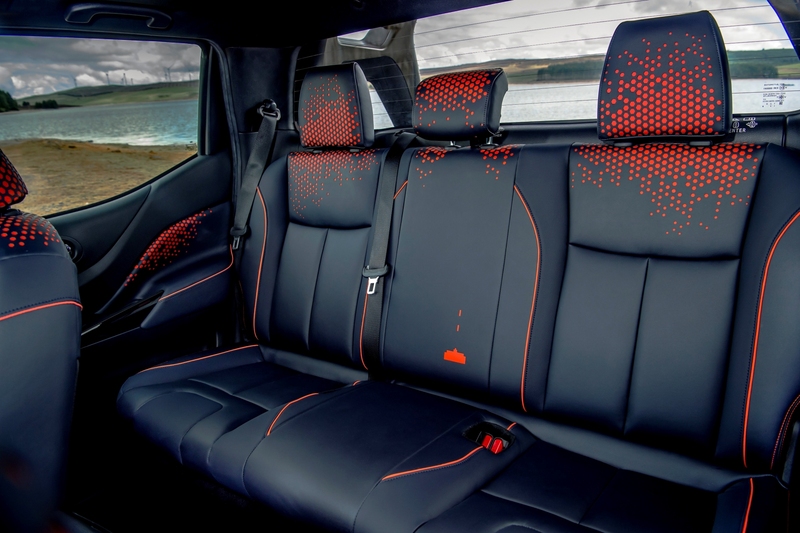 The dark exterior paint scheme features nebula motifs using parametric patterns, and the cabin combines deep hues of the night sky with the orange shades of the sun at dusk. 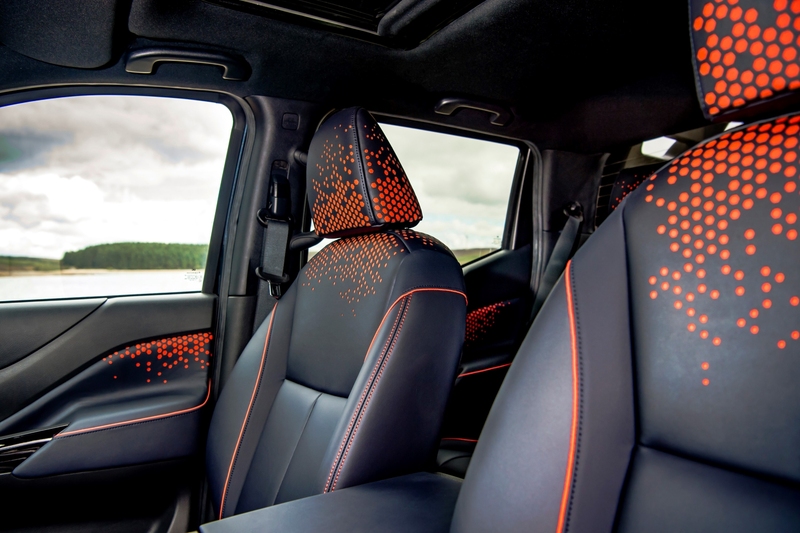 Reflective orange piping on the seats also provides visibility inside, while negating the requirement for garish white lights that would otherwise hinder the star-seeker's night-time vision. 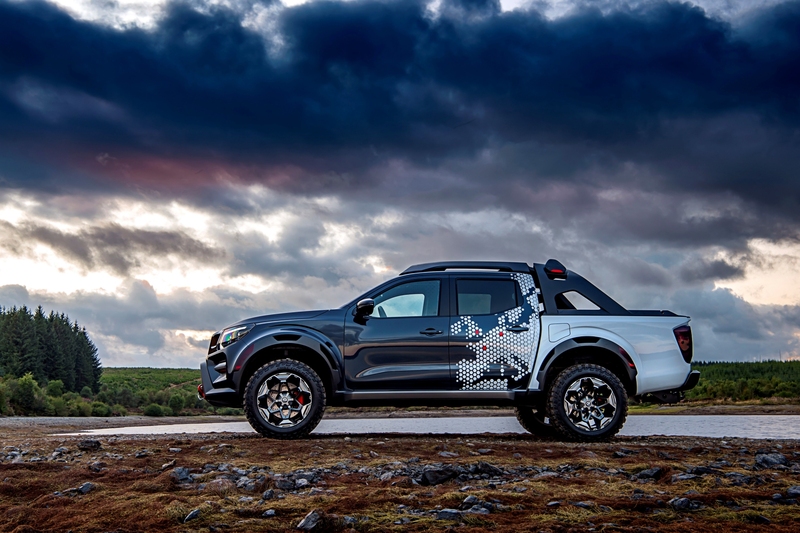 Helping the truck and trailer reach its destination is a robust ladder-frame chassis and a twin-turbo diesel 2.3-liter engine that delivers 190 horsepower and 450 Newton-meters of torque that allow it to traverse difficult terrain. 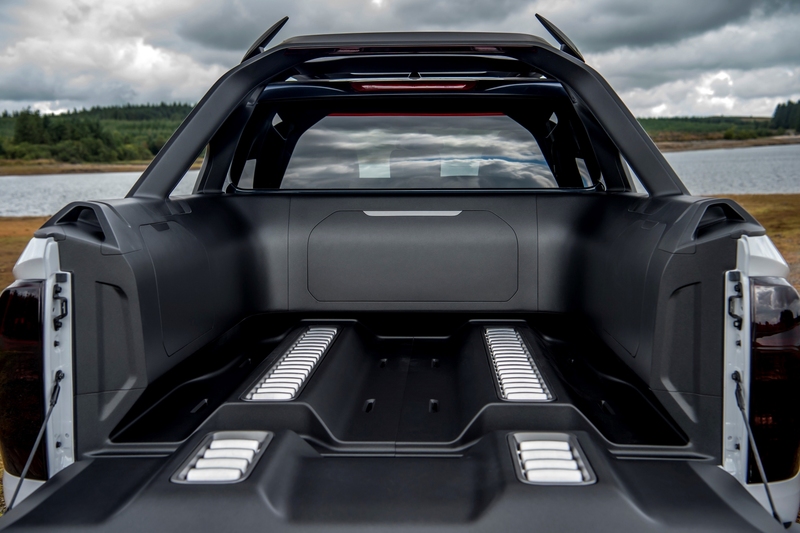 The overall ride height of the Nissan Navara Dark Sky Concept has been raised for improved ground clearance and more groovy offroad tires have been added under those new flared wheel arches to enhance the vehicle’s go-anywhere capability. 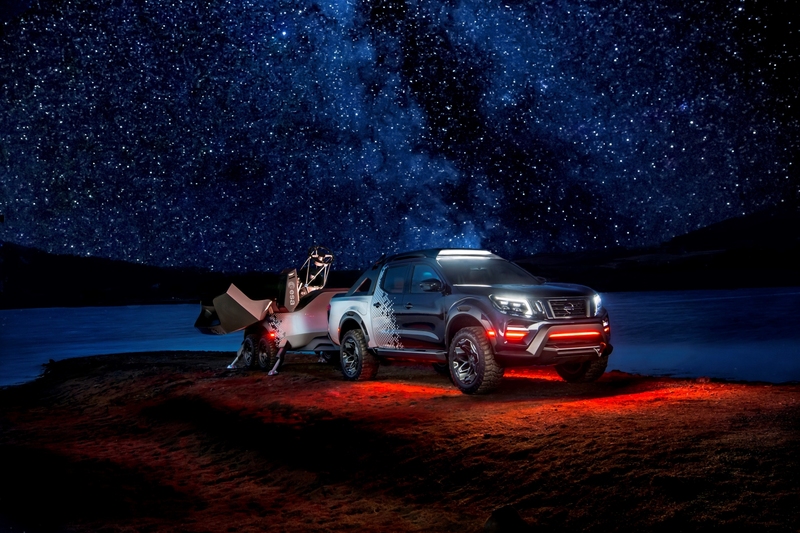 What's New: The Navara Dark Sky Concept also comes with plenty of smart upgrades to suit its new function. 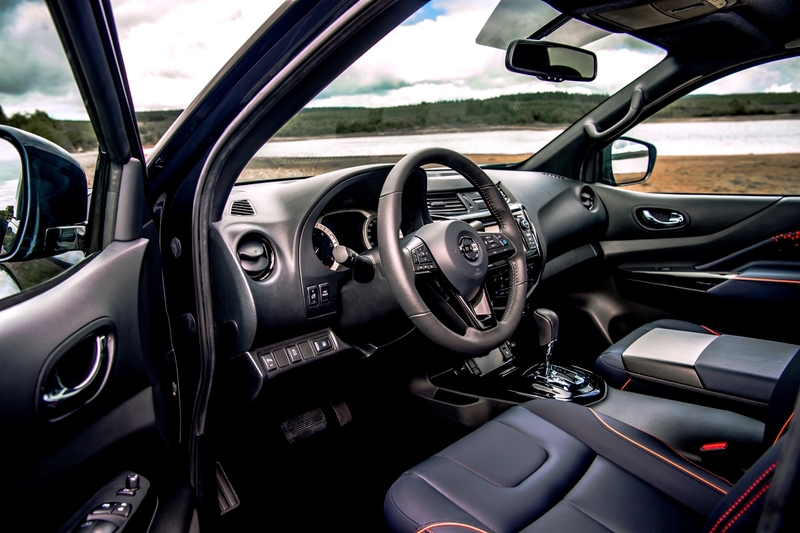 Its got Nissan's ProPilot Assist that enhances the driver control by combining Intelligent Cruise Control and Steering Assist technologies to maintain the distance with the vehicle in front while keeping the car and rig centered during single-lane driving. The Intelligent Around View Monitor and the Blind Spot Warning system have been upgraded by taking into account the added length of the trailer. 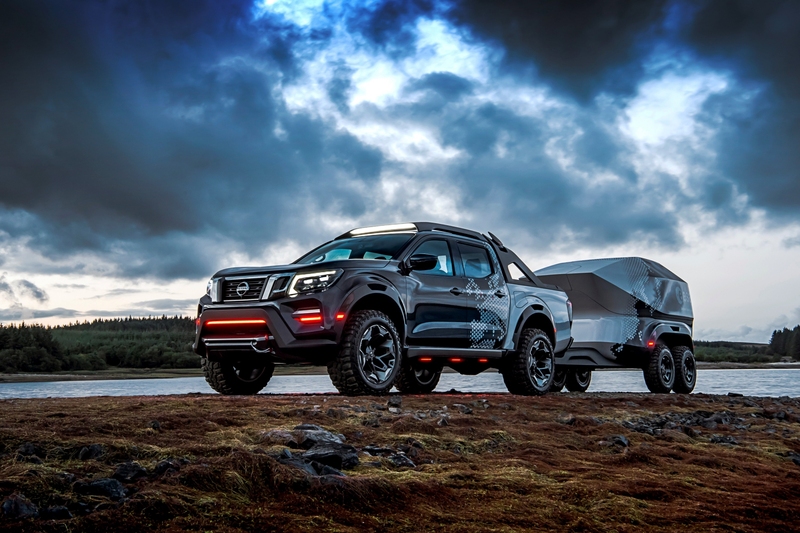 The Intelligent Towing Hitch Alignment lets your car take control of steering, acceleration, braking, and shifting so that it can automatically maneuver to align with the trailer for easy hookup too. In addition to that, it also has portable battery packs borrowed from the Nissan Leaf for auxiliary power supply. The highlight, however, is the ultra-powerful PlaneWave telescope. 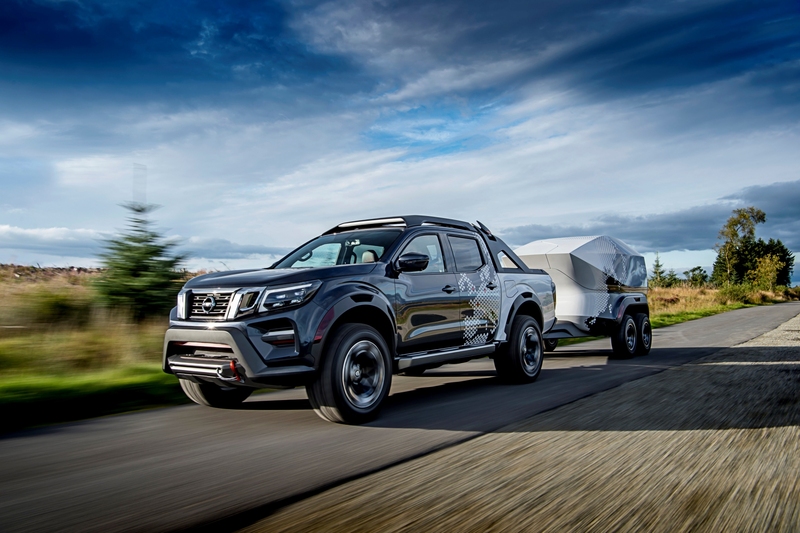 The Nissan Intelligent Mobility systems enable this new concept to maneuver the telescope trailer into prime position. Radar sensors and cameras scan the terrain for the apt location to park and stabilize the trailer. 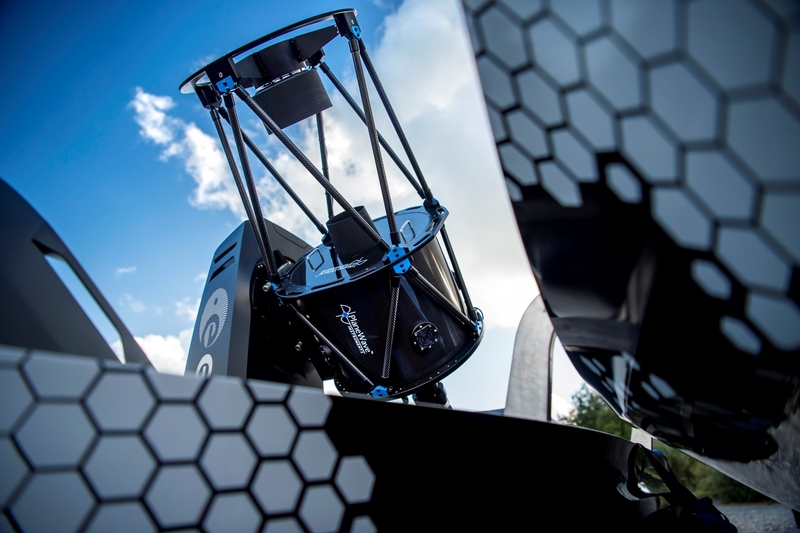 Once driven to the desired destination, the trailer module’s mechanized roof can be opened to focus the telescope on the night sky. The telescope, which uses a 15.74-inch primary mirror, has the capacity to give detailed views beyond the rings of Saturn, of distant galaxies, nebulae, and supernovas. Thanks to more input from the ESA, the trailer module has also been made to incorporate a special refrigerated atmosphere, allowing the telescope to remain calibrated at the optimum temperature in transit to any location. 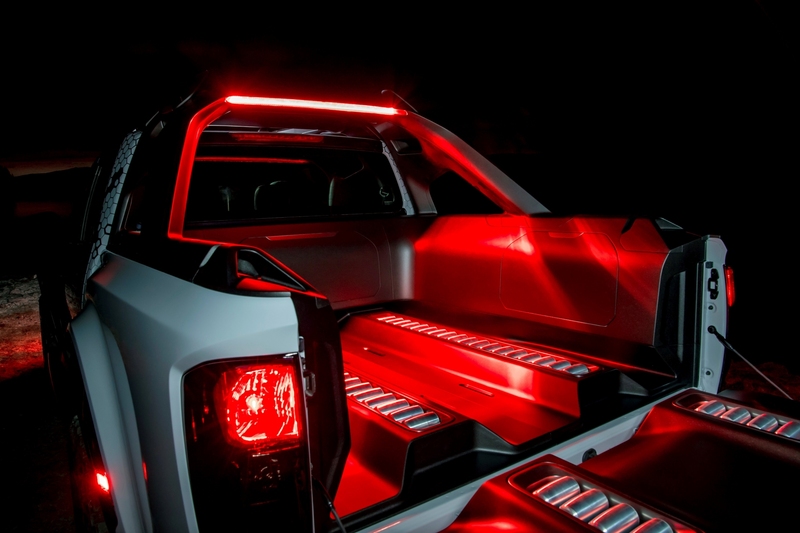 And since red light is known to affect human night vision the least, both the vehicle and trailer exclusively use that part of the spectrum. 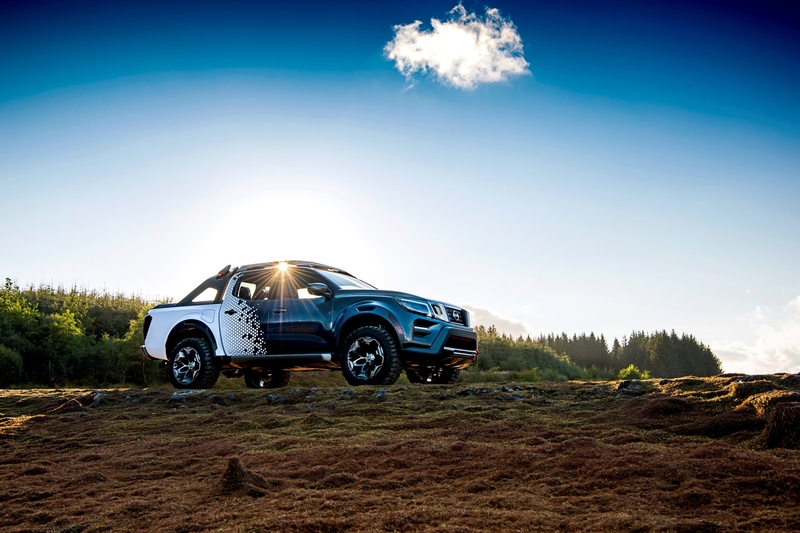 Nissan plans to donate the telescope after the Hannover Motor Show as a gesture to encourage exploration and adventure in future generations. New powertrain options include a turbo 2.7-liter and 5.3-liter V-8. engines. With a 3.0-liter turbo diesel headed our way, early 2019.